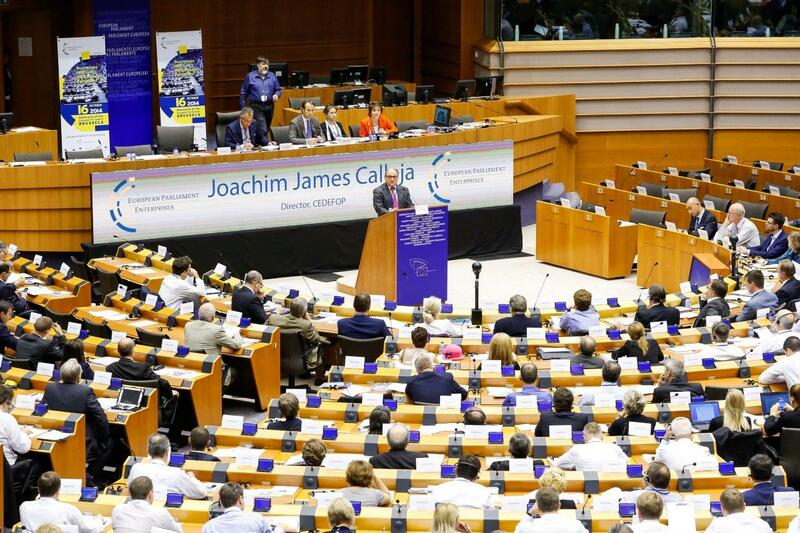 ‘Europe’s true problem is not one of a deficit of skills, but primarily a deficit of creation of good quality jobs,’ Cedefop Director James Calleja told the European Parliament of Enterprises on Thursday in Brussels. There is a clear need to invest more in lifelong guidance and counselling services relevant to labour market realities and in stronger European vocational education and training (VET) systems, including Higher VET. Good apprenticeship programmes will also help bridge the gap between skills of new job applicants and those needed by firms. Companies that support apprenticeships count their benefits; companies that don’t, complain about costs. Public-private partnerships will ensure that employers, learning providers and learners do not live in ‘parallel universes’ with regard to the effectiveness of the skill-matching process in their countries (McKinsey, 2012). Skills mismatch at domestic or smaller-sized firms may be addressed via the offer of better working conditions and by improving the image of the sector. A better image of jobs secures attractiveness to VET. Training consortia involving small and larger-sized firms in a sector or region and closer cooperation between VET institutions and businesses in regional/sectoral innovation clusters are likely to encourage employers to invest in staff training. Europe needs to invest in the creation of more and innovative jobs via local or sectoral development investment projects. Compulsory education and VET have a critical role to play in providing key competences and high-quality VET programmes as a drive for creativity and innovation.